Heavy-ion radiotherapy using high-energy carbon beams has been performed at the National Institute of Radiological Sciences, Japan. The physical frameworks for heavy-ion radiotherapy are established using an understanding of radiation physics. 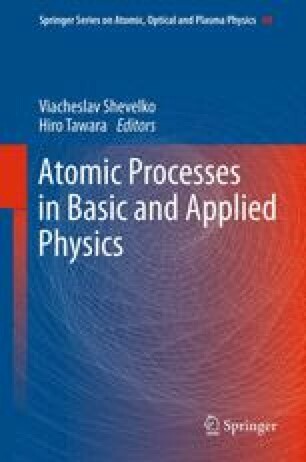 In this chapter, the biophysical and medical physics aspects of heavy-ion radiotherapy are presented. In order to increase the accuracy of heavy-ion radiotherapy, many physical problems should be solved. A calorimeter was developed to measure the absolute dose of the heavy-ion beams. From a comparison of the dosimetry, it was found that the dose indicated by the ionization chamber was underestimated by 3–4%. The clinical results of carbon therapy at heavy-ion medical accelerator in Chiba (HIMAC) are assessed using the linear-quadratic (LQ) model of radiation effect. Development of new scintillation and Rossi counters will allow simultaneous measurement of the radiation dose and quality of heavy-ion beams. Further research is required to provide a comprehensive biophysical model for clinical applications.